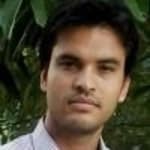 Dr. Pankaj Tyagi is a popular Acupuncturist in Lajpat Nagar, Delhi. He has helped numerous patients in his 13 years of experience as a Acupuncturist. He is a D.S.T, D.A.T . He is currently associated with Acupressure Health Point in Lajpat Nagar, Delhi. Book an appointment online with Dr. Pankaj Tyagi and consult privately on Lybrate.com. Lybrate.com has an excellent community of Acupuncturists in India. You will find Acupuncturists with more than 44 years of experience on Lybrate.com. You can find Acupuncturists online in Delhi and from across India. View the profile of medical specialists and their reviews from other patients to make an informed decision. How I can loose my whole fate from my belly, hip, stomach and unnecessary fat from my body and gave some tips to become fit. Give importance to a balance nutritional diet. Include good amount of green vegetables fresh seasonal fruits. Aviod junk food sticky food and airated soft drinks. I am getting tired these days with small efforts and I am only 29 years old. Can you please help to know why it is happening as these age people have good stamina and what to eat and what no to eat in this case. Please get a complete body check done through any good lab. Lethargic feeling could be due to various reasons 1. Lack of haemoglobin 2. Sugar problem 3. Thyroid. Or many more. Issue will be clear only after your tests. Other than that you should do intense exercise for 60 mins daily. That will boost your physical and mental energy. It will add spark to your life and make you fit and young. I am loosing my weight and also I have gain my blood fully high and I can not eat anything. If you can do a fevour of this eating food. Its a great help of your highly proportional yo my health. It a great help from your verification of you Doctor. And I am gaining also. It would be very high eating food at least two ot three times in a week. From someday he became very ill and not fit when he do some work he installty became tired please give some gud solution for my friend. Your friend needs to get a few test done to rule out any complications. Cbc, thyroid profile is required. In most cases vitamin and essential nutrient deficiency post fever/illness will cause tiredness. So the best solution for this is to take in as much dietary vitamins as possible. Follow this diet routine for two months and he will be fine 1. One bowl of fresh fruits 2. $ almonds (soaked overnight), 8 raisins and two dates. Have this first thing in the morning followed by a glass of milk 3. Include millets in your diet. Ragi is a great option. Ragi malt or roasted ragi powder can be consumed. This gives you instant energy and improves immunity as well. I got hit in my knee and now when I try to bend my knee it pains. How to treat this problem now? Get x-rays to rule out bony injury. Medications like Enzomac will help. Apply local ice packs. Gentle quadriceps exercises to start with. You should be able to bend fully by 2-3 weeks. If your problems persist beyond 1 weeks, then visit Orthopaedic Surgeon for clinical evaluation to rule out ligamentous injury. I use to eat too much but my weight is not increasing. My body growth is not improving. I use to be thin. M suffering from initial stage of spondylitis. .which is best position for sleep? And what exercise should I do? Can we eliminate this by taking medicine. 1. Start with Physiotherapy treatment. 2. Learn spinal exercises. 3. Don't lift heavy things. 4. Don't do forward bending. 5. Use lumber spine belt. 6. Apply volini cream before sleeping. 7. Do Hot fermentation. 8. Take calcium,vitamin D 3 and Methylcobalmine supplement for one month minimum. I eat regularly but my weight is constant i. E. 46 kgs. What do I do to gain weight without proteins? I suggest you easy method of weight gain just follow it for year you will gain weigh defiantly 1. Start exercise regularly for 3 month and then after 3 month leave it for 3 month at the time of exercise your diet will increase but same diet continue after 3 month when you stop exercise so thats why your weight will increase automatically now we discus about diet 2. Take dates with milk in the morning breakfast 3. Triphala kadha 4 tsp beore lunch and dinner 4. Amala juice 4 tsp + 2tsp sugar + 2tsp honey in the morning empty stomach this take for 1.5 month only your weight gain will take definitely note=avoid over eating. I want to grow a muscular body. What should I eat to gain more muscles. Budget friendly. I live in hostel. For upper body target 100 pushups daily 25+25+25+25=100. This becomes 3000 pushups in 1 month and 36, 000 in 1 year for lower body do cycling, squats and skipping or running. If you can do this regularly your muscles will be unbeatable.